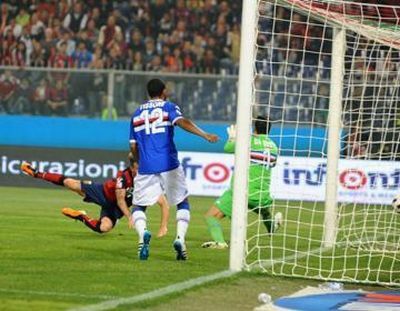 As expected Genoa lost the match by 4-2. 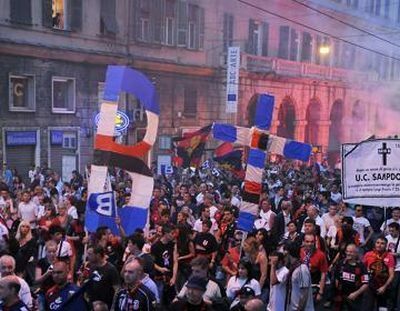 To Lazio the match was very important to reach Europa League and to keep the dream of Champions Laegue alive, while Genoa still was in seventh heaven because of the victory in the derby. After Lazio opened the score by our ex-Genoano Beppe Biava, it was Palacio who scored the equalizer in the rebound of a great shot of Boselli. With the 1-1 score both teams went in the dressingroom at halftime. After the break Lazio scored 3 times in 14 minutes. Floro Flores scored the last goal of the match by touching a shot of Mimmo Criscito: 4-2. One day later on Sunday 15th May 2011 our nephews of Sampdoria relegated to Serie B. Palermo did beat the bluecerchiati in Luigi Ferraris by 1-2, while their concurrent Lecce did win their derby in Bari by 0-2. After 8 years in Serie A the dream is over. Rodrigo Palacio our genoano of the year ! 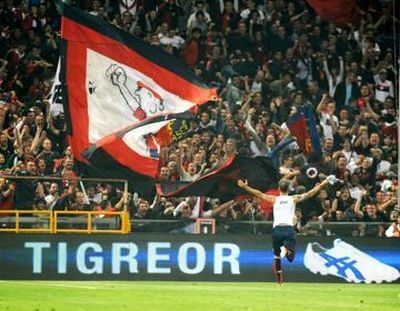 The members of Genoa Club Amsterdam have chosen Rodrigo Palacio as our Genoano of the year. Tomorrow we honour our topscorer by giving him the trophy, and Sunday he thanks us with 2 goals in the derby !